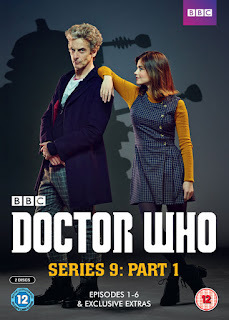 The BBC have released the new final cover for the upcoming Doctor Who Series 9: Part 1 boxset on DVD and Bluray - check them out below. They both hit the streets on Nov 2, pre-order HERE. 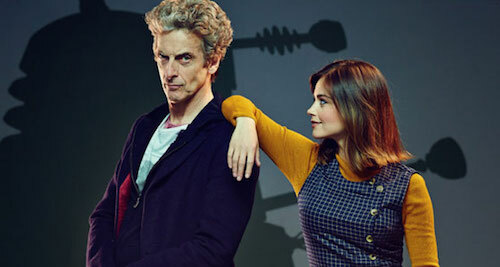 Along with the first 6 eps of Doctor Who Series 9, the sets also include 3 exclusive extra mini-documentaries on how each two-parter was created entitled Doctor Who Extra. Order on Amazon HERE. 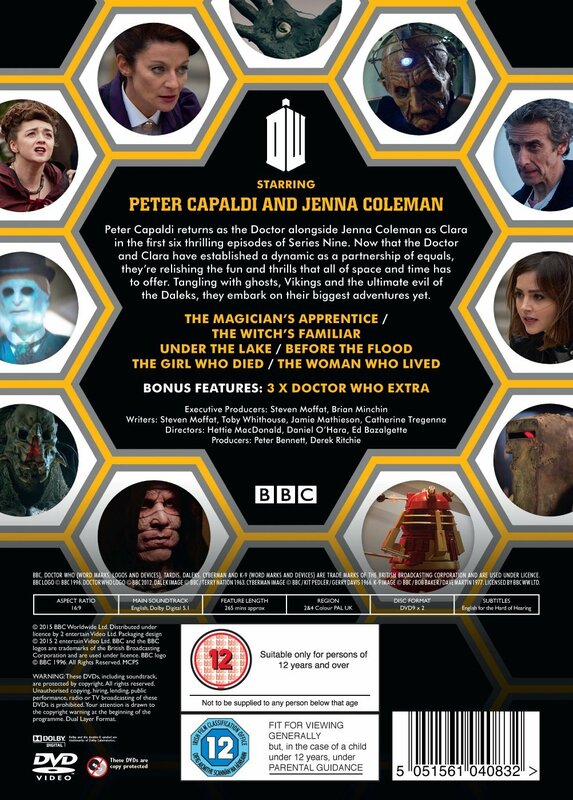 The BBC Shop edition also comes with 2 exclusive Doctor Who art cards! 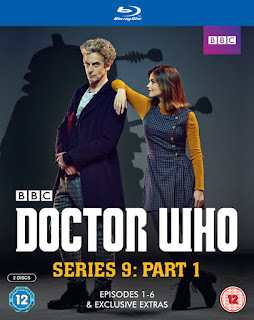 Pre-order from BBC Shop HERE and on Amazon HERE. Check out the back cover below.